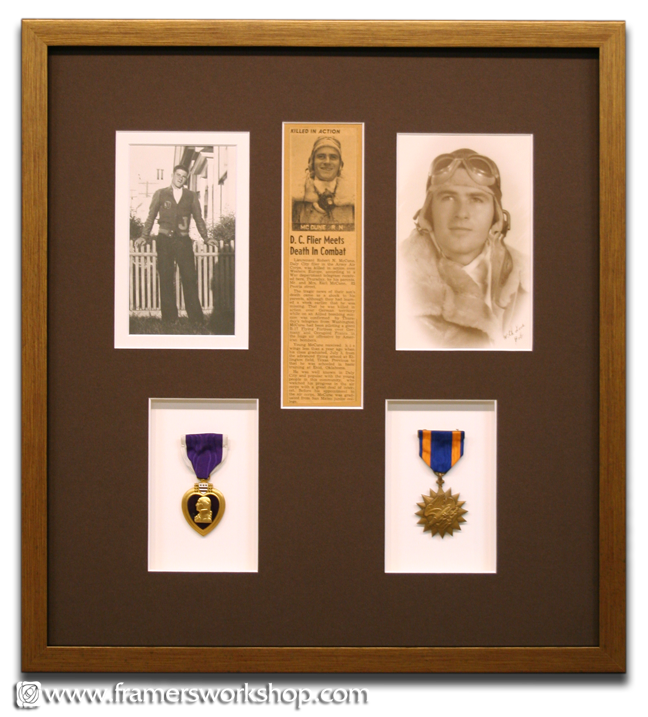 These medals, photographs and newspaper clipping, are framed in an acid free multi-window mat with a gold wood frame. UV-filtering glass was used to help preserve the original photographs and newspaper clipping. The medals, including a Purple Heart, are recessed due to their dimensionality.